Alia Bhatt to star in a film based on Kashmir’s allgirl rock band Pragaash? Also starring Nawaz and Shabana? 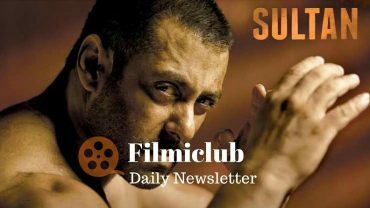 Salman Khan to give Ganpati celebrations a miss for Tubelight! Sonam Kapoor is NOT doing Ranbir Kapoor’s Sanjay Dutt biopic and Aanand L Rai’s next with Shah Rukh Khan! A Flying Jatt Thu 7.10 cr, Fri 6 cr, Sat 7.35 cr, Sun 9 cr, Mon 2.50 cr, Tue 2 cr, Wed 1.65 cr, Thu 1.25 cr. Total: 36.85 cr. Amrita Puri to make her TV debut with Nikhil Advani’s desi version of Homeland!